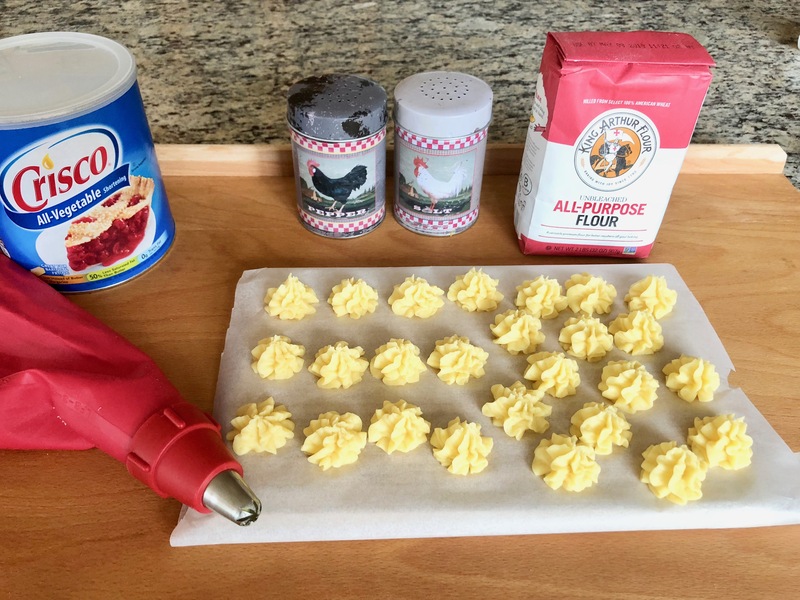 The Traditional Dauphine Potatoes are a mixture of a choux and mashed potatoes. They are fried in vegetable shortening or oil. The potatoes are called Dauphine Kartoffeln in Germany. Peel the potatoes and cut them into quarters. 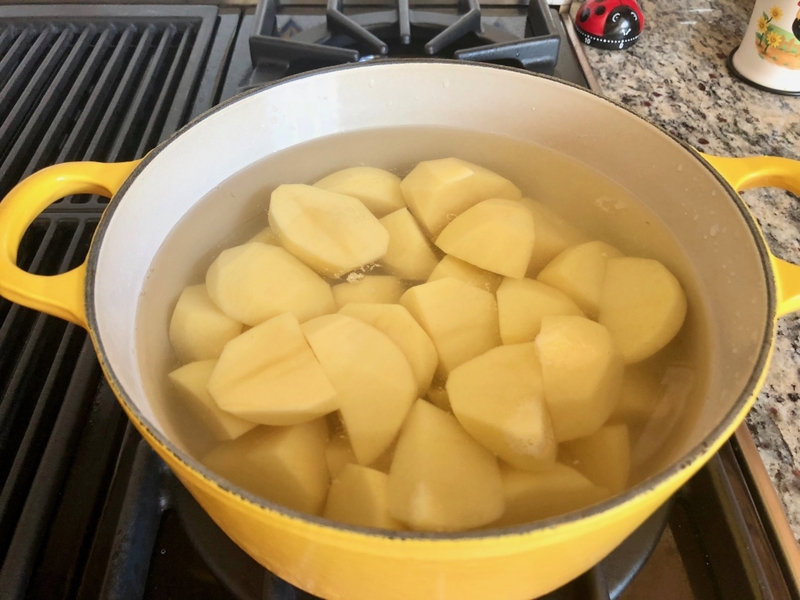 Place the potatoes in a saucepan, add water and 1 teaspoon of salt and boil for 20 minutes. 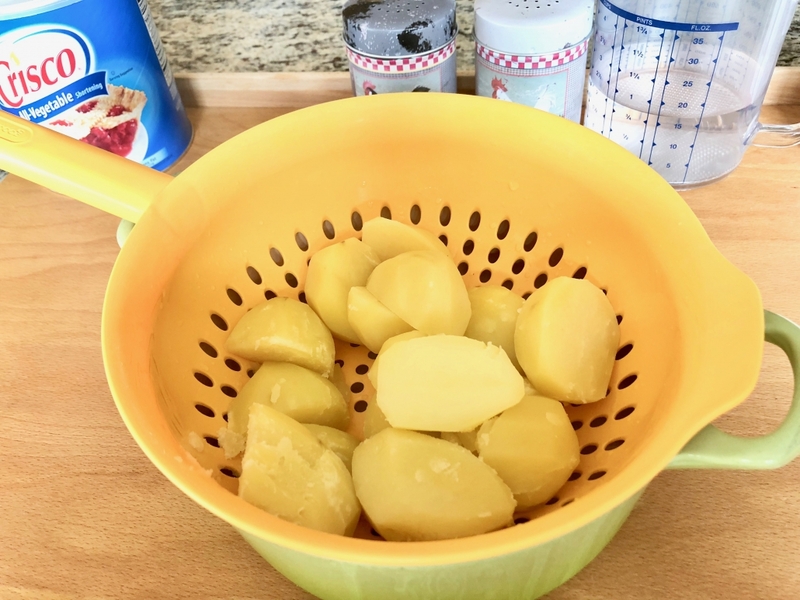 Place the boiled potatoes in a colander and let them evaporate for 20 minutes. 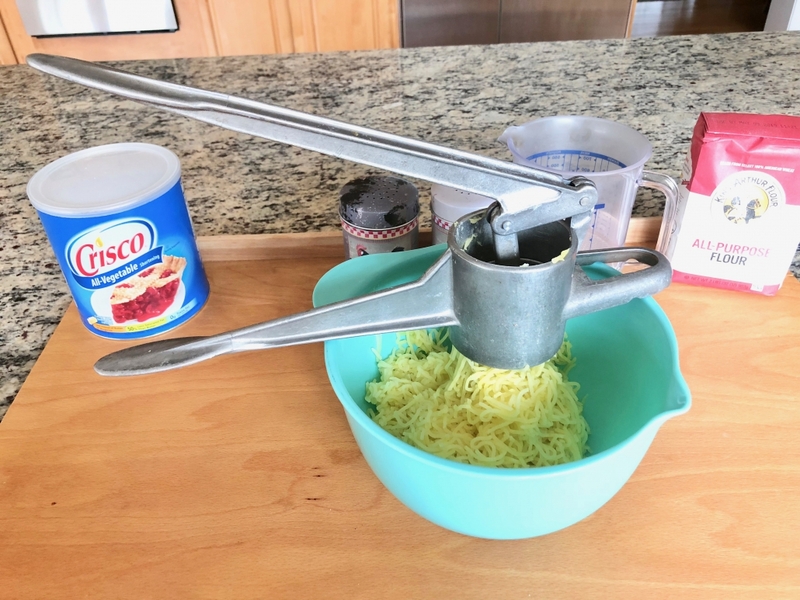 Press the potatoes through a potato press or mash them with a potato masher. 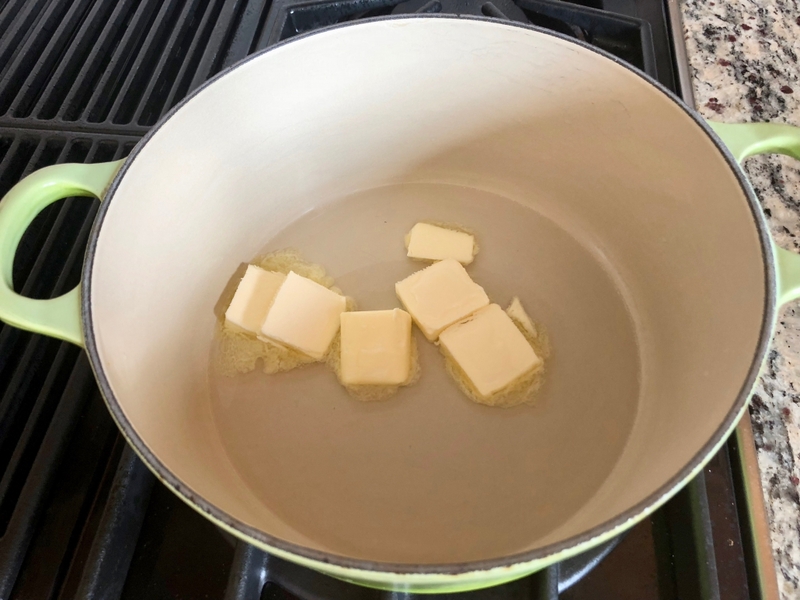 To make the choux, mix the water with the butter in a saucepan and heat it up until the butter is melted. 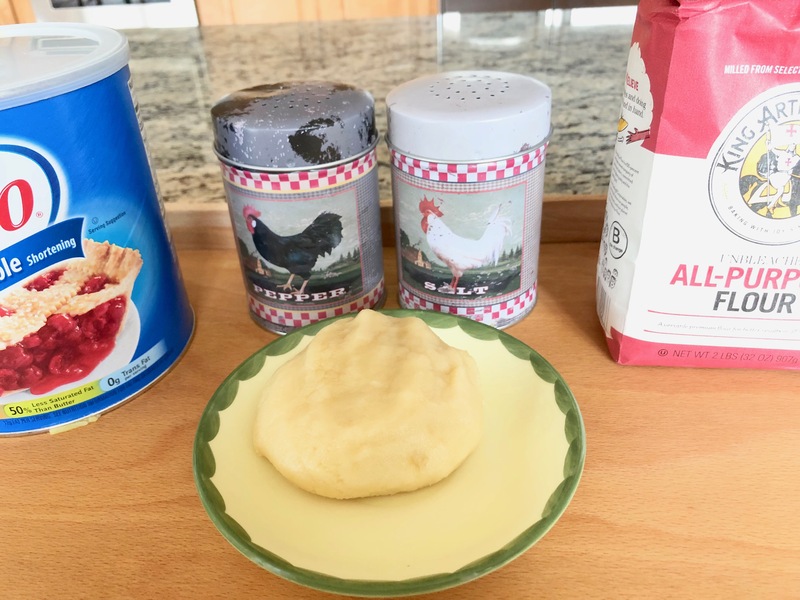 Add the flour into the liquids and stir until a dry ball is formed. Turn the heat off and let the choux cool down a little. 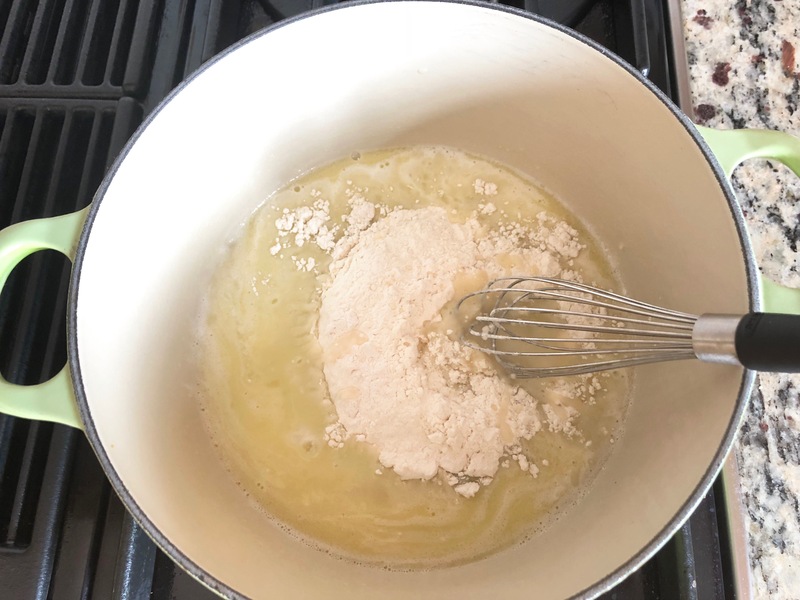 Add the eggs and the egg yolk one at a time to the flour mix and stir with a wooden spoon. Add the pressed potatoes to the choux and mix until the ingredients are combined. Spice the potato mix with pepper, salt, and nutmeg to your personal taste. Let it stand for about 10 minutes. Cover a cutting board with baking paper. Use a decorating bag with a wide star tip. Fill the potato mix into the bag and pipe stars about 1 inch in diameter onto the paper covered cutting board. You also could use two teaspoons to form little balls. Use an angled spatula or a knife to place the shaped potato stars/balls into the vegetable shortening/oil. Heat up the vegetable shortening or oil to 180°C (360°F). 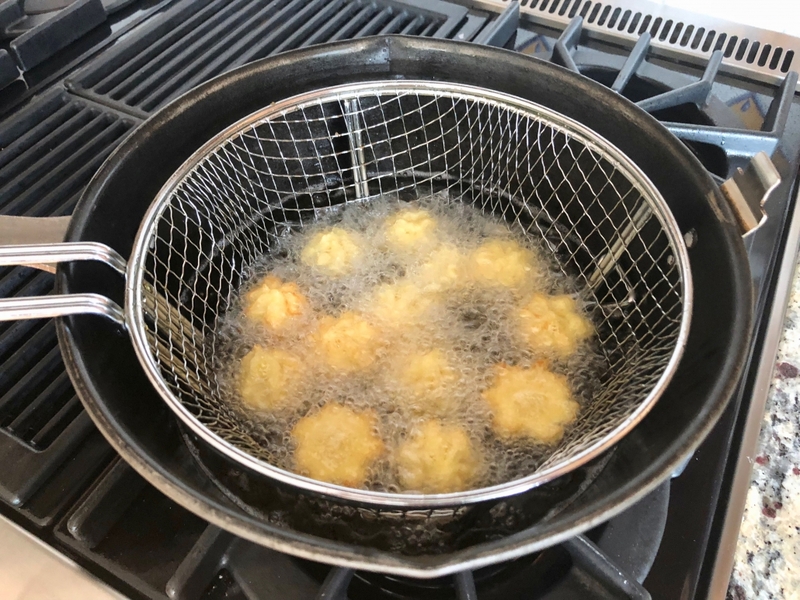 Deep fry the stars/balls until golden.Take the balls out of the saucepan and place them on a kitchen paper towel. Serve immediately. 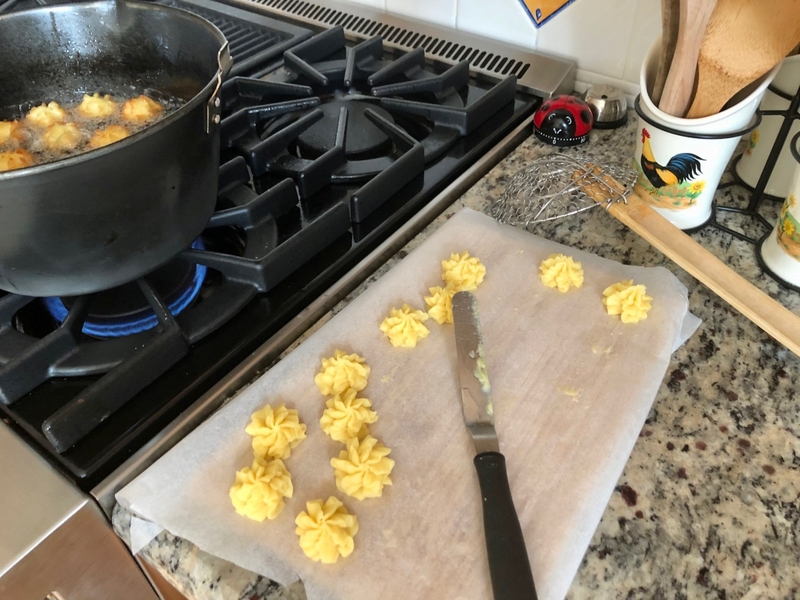 You could also change the recipe while adding 2-3 tablespoons of grinded cheese like parmesan or Gruyère and/or parsley – chives to the potato mix. To try the German Croquettes Recipe click here.